This is a side-project of Rammstein frontman Till Lindemann, together with Peter Tägtgren (Hypocrisy and Pain – us neither). The sound is Rammstein in their mellower dance moments (Mutter sprang to mind), so it’s industrial rock but with less guitar, and more synth and melody. On the whole, it’s got a softer sound. 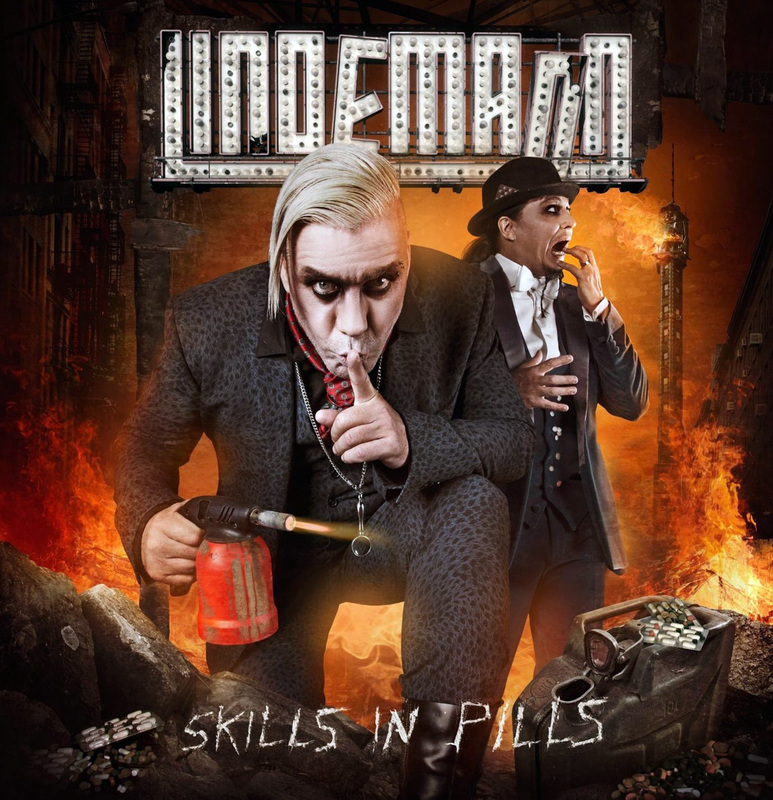 The major difference is that Lindemann — still with his trademark baritone — sings in English, confirming what we already knew: his lyrics are sexually explicit and packed with more double entendres than the Christmas special of Viz’s Finbarr Saunders. Fnargh! Fnargh! We read somewhere that Lindemann doesn’t expect to be taken seriously. We’re supposed to realise he’s joking and while he shocks and pushes at the envelope, he’s not meant to be offensive. In the same way that some people can use the F-word repeatedly and be funny (cf. Viz), Lindemann is fairly offensive in an explicit saucy postcode sort of way. Of course, some of you will be appalled by the use of the F-word in comedy (though it goes back to Chaucer and beyond); it’s fair to say you’d best avoid this album, and probably not even go into shops that sell it. When we say offensive: there’s even one song title we won’t mention, in case it causes offence. Skills in Pills opens with the title track, which mocks people who take pills for everything, including “the orange is for, I don’t know”. Ladyboy is, well you can guess. Fat declares love for a larger lady; there’s a funny joke at the end that’s too rude to crack. Chubby people might either be offended or pleased to figure in a lustful song. Fish On compares the sport of the common man with angling for the ladies — yes there’s a dropping the worm in the pond joke, and jokes about greasing fishing rods. Cowboy: well it’s not just about horses. Children Of The Sun is an aberration, with no rude jokes at all — it’s about vampires, who clearly are not that kind of child. Yukon is also apparently clean, though we’re worried we’ve missed something. Musically, it’s much the same all the way through; all pretty good, though none of the songs really stands out. We’d guess Rammstein fans will buy it and like it, and any who’ve bothered translating lyrics will not be shocked. After that: it’s got “lad” written through, so it will appeal to students of a certain type and Viz reading rock fans. To paraphrase Kenny Everett: we quite like it, but it’s not in the best possible taste.